We are offering top-grade Ragi Flour, which is enriched with dietary fiber that makes it highly beneficial for the digestive system. Our Ragi Flour is 100% pure and free from adulteration. Raagi is a kind of millet. It contain high protein. 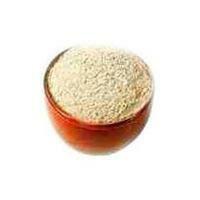 Raagi flour has advantages of slow digestibility and high calcium content. High-protein biscuits made with ragi flour. 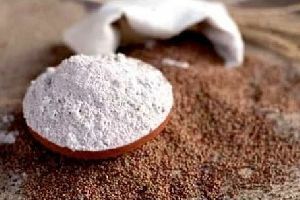 The white grain variety of ragi have more thiamine and protein. 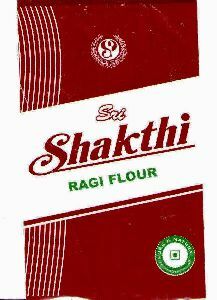 Raagi flour is used in the preparation of rotis, dosa, porridge, and other foods. 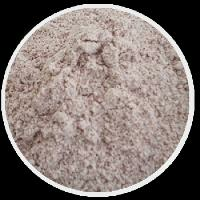 Our company is a prominent Supplier and Exporter of Ragi Flour from villupuram , Tamil Nadu. 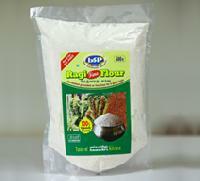 We offer Ragi Flour that not only has a great nutritious value but also has a rich flavor. 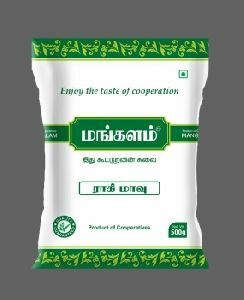 Our Ragi Flour is rich source of fiber and calcium. We ensure that is processed and packaged hygienically so it is safe to consume and has a longer shelf life. We present our buyers the option to customize their packaging. 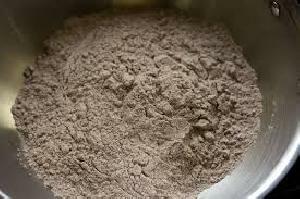 We bring forth nutritious Ragi Flour that is rich in fiber, iron, protein and calcium. The Ragi Flour is very easy to digest and it also controls cholesterol level. We use premium Ragi from the best fields of Karnataka regions. 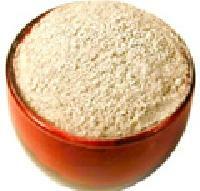 Ragi Flour, which we offer, is ideal for diabetic people. Ragi Flour is a wholesome and nutritious product for people of all ages. 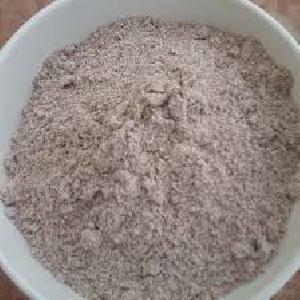 Prepared and powdered form purest ragi, the Ragi flour supplied by us is in huge demand. The flour has all the required nutrient contents and we can assure you that the product is a one hundred percent organic one. 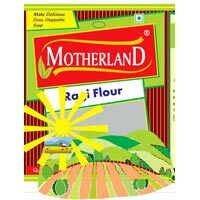 The flour of ragi supplied by us is of supreme quality and all the machining process that take place on this powder is of advanced level. Our Ragi Flour is finely grounded using the latest machines ensuring the best quality. We provide flour that is known for its high nutritional value. The flour that we offer is free from any kind of impurities. Our flour is usually mixed with wheat flour to prepare chapattis. 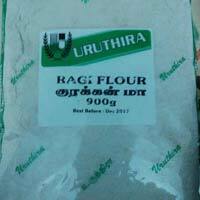 We can provide Ragi Flour in small as well as bulk quantities to meet the diverse demands of buyers. We are instrumental in offering the exceptional assortment of product that are deigned and manufactured only after complete examination of the raw materials and inputs used. We make available, Ragi Fine Flour, which has long shelf life and is completely free from any impurity. With us, one can stay completely assured for safe and dependable payment procedures. Our Ragi Flour is manufactured using 100% Ragi, which enhances its quality and taste. 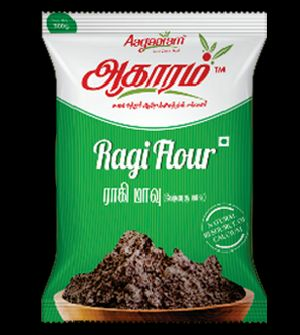 The Ragi Flour is used for making a variety of dishes like dosa, chappathi, soup, and many others. 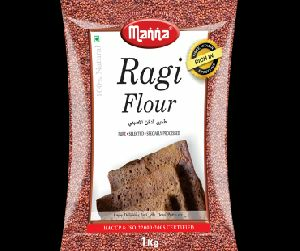 Manna Ragi flour is good, wholesome flour made from thoroughly graded, de-stoned ragi. Ragi is a rich source of calcium and fibre. It can be a part of everyday diet in the form of porridge, rotis, dosa, puttu and various other dishes. Stay Healthy with Sanjeevanam Ragi Powder. It is rich in Dietary Fibre and Calcium. 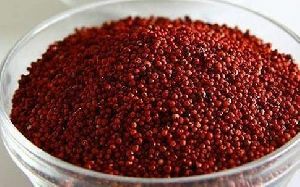 It is also used as ingredient in healthy, tasty dishes like Puttu, Idiyappam etc. It makes for a perfect way to start your day. 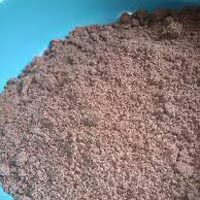 Ragi flour is ready for sale. 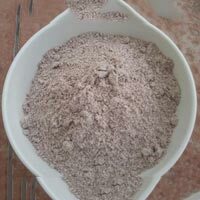 We can sell 50 kgs of ragi flour daily. this floor is packed properly. The manufacturing date is printed on the pack. It can be used 6 months period after packing. 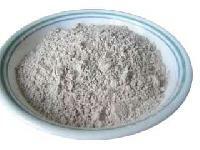 The Ragi Flour we offer is a rich source of dietary fiber, protein, calcium, iron, etc. It is highly beneficial for the body as it helps in muscle growth, aiding digestion, strengthening bones, and much more.